being M.C. Escher and the second one William Morris. 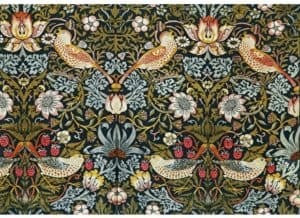 by the floral patterns of William Morris. ‘The Strawberry Thief’ in our computer generated designs? our printing blocks and have tried to create a repeating pattern just as Morris would have done. We also created watercolours of our designs too!